Civil Rights Is All About Fairness - This helps students identify with the situation of those discriminated against and understand the injustices. 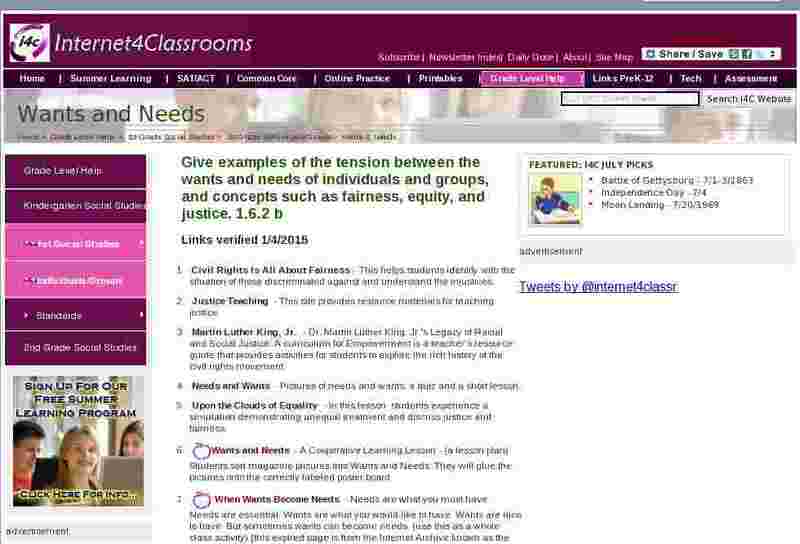 Justice Teaching - This site provides resource materials for teaching justice. Martin Luther King, Jr. - Dr. Martin Luther King, Jr.'s Legacy of Racial and Social Justice: A curriculum for Empowerment is a teacher's resource guide that provides activities for students to explore the rich history of the civil rights movement. Upon the Clouds of Equality - In this lesson, students experience a simulation demonstrating unequal treatment and discuss justice and fairness.